Today’s post will be short and sweet due to the chaos that rules my life at the moment. What chaos you ask? Two words. Wedding Season. Although I’m loving the thrill of it, I will unfortunately have to neglect you for a while. I know, it’s the worst timing. Christmas is just around the corner and summer is upon those of us in the Southern Hemisphere. But just know I haven’t forgotten about you. I will try my best in between all the cakes and gardening (more on that to come) and christmas gift making and spending time with G. Look at me, I sound like a housewife. Only I don’t have my own house, I’m not a wife (yet) and I work 5 (sometimes 6) days a week. How do all of you get everything done!? Anyway, something I did manage to get done was to bake these cookies. I always itch to make cookies around Christmas time. The brown sugar cookie base makes one of the tastiest cookies I have ever tasted and the gooey Rolo center just takes it to another level. Pre-heat the oven to 180°C / 350°F and line 2 -3 baking sheets with greaseproof paper. Place the softened butter and brown sugar into the bowl of your stand mixer (or any other mixing bowl if using a hand-beater) and cream with the paddle attachment until fluffy and very light in colour. Gently mix in the vanilla extract and the egg. Add the sifted dry ingredients to the bowl all at once and mix in until just combined and comes together into a soft dough. Turn out the dough onto your work surface and form into a flattened disk. Wrap in plastic wrap and chill in the fridge for 30 minutes. 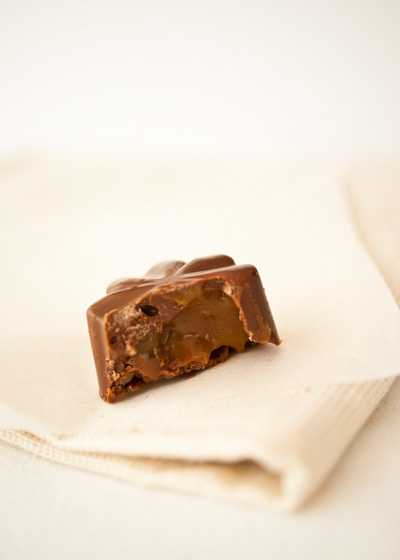 When the 30 minutes is up, remove the dough from the fridge and the Rolo’s from the freezer. For each cookie, take a small amount of dough (1 tbsp. is a good amount) and form it into a ball. Press a frozen Rolo into the center and close up the dough around the Rolo so that it is completely covered. Remove from the oven and leave them to stand for about 5 minutes before transferring to a cooling rack to cool completely. It’s close on two months to Christmas. Did you know that? I swear I was here just a few months ago. Every year seems to sprint by and before you know it you have that “shopping center moment”. You know, the one where you’re walking along doing your shopping, minding your own business, and suddenly there are Christmas decorations and stuff everywhere. Oh my word Mom, check it out! They’re starting early this year? This stuff is just gonna sit here taking up… wait. What month is it? October? How did that happen?! Since I’ve started blogging, it’s the “12 weeks of cookies moment”. Know which one I’m talking about? 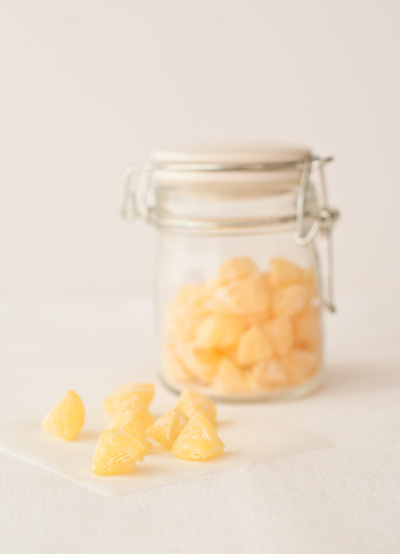 This year it was Bree who jolted me into reality with her White Chocolate Ginger Drops. Wow. I was obsessing over them for weeks before I finally got round to them. 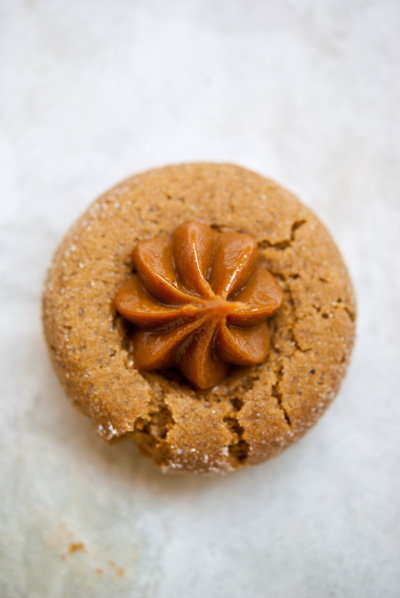 Although my obsession with dulce de leche won over and they turned into Ginger Thumbprint Cookies with Dulce de Leche. 12 Weeks of Cookies is an awesome way to get the excitement going. Go check it out! Counting down to Christmas with cookies. What else? Christmas is around the corner, let’s get our butts into gear, K? 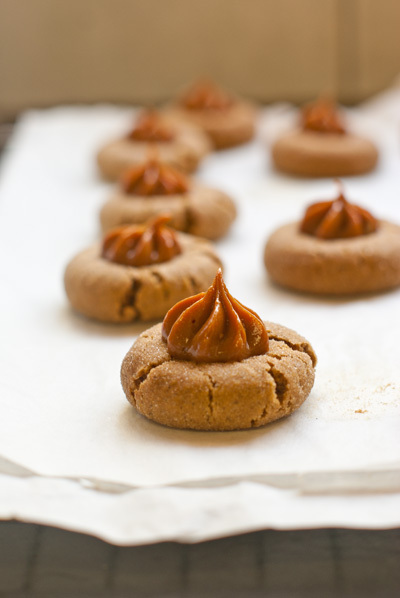 Whisk together the flour, baking soda, salt, ginger, cinnamon and nutmeg and set aside. Cream the butter and brown sugar together in a stand mixer with paddle attachment or a hand beater until light in colour and fluffy (6 – 10 min). Add the molasses, egg and vanilla extract and beat to combine. Add the dry ingredients and mix until just combined and a soft dough forms. Divide the dough in two and wrap in plastic wrap. Chill in the fridge for at least 2 hours or overnight. Preheat the oven to 170°C/340°F and line baking sheets with non-stick paper. Roll the dough into balls (a tbsp. measure makes a good-sized cookie) and roll the balls in caster (superfine) sugar. Place the balls onto prepared baking sheets and press your finger down onto the tops to create a small dent in each. 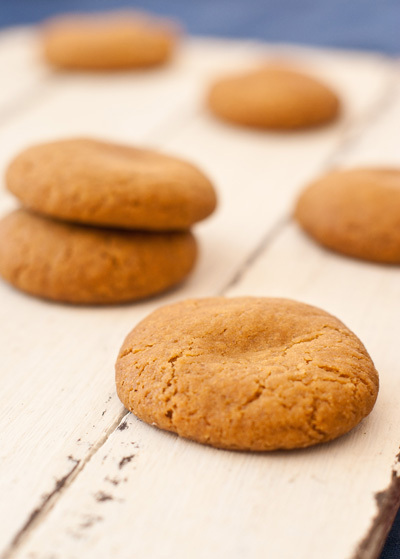 Bake for 10 – 15 minutes or until slightly firm and the undersides of the cookies are a deep golden brown. Allow to cool completely and pipe or dollop about 1/2 tsp. 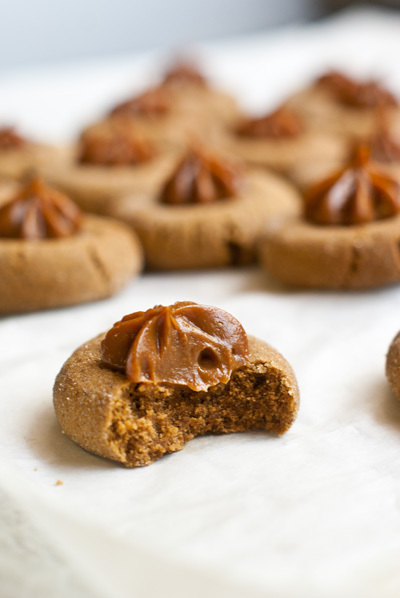 dulce de leche into the dent of each cookie. The reason I’ve been busy not blogging much lately is because my boss is on leave and I’ve been very busy taking charge of cakes at Vanilla House. Or so I thought it would be. But in all honesty… I’m having the time of my life. Sure it’s a lot of responsibility and it is more stressful than before, but I’ve discovered something in the past 2 weeks. I’m good at it. I don’t say that to brag or anything, I’m just so excited. 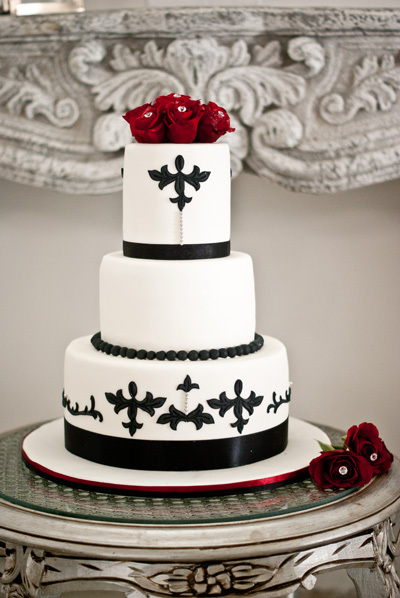 I did my first wedding cake for a lovely couple who got married just outside Durbanville on Saturday. Despite a nerve wrecking bumpy drive down a dirt road to deliver the cake, everything went smoothly and I couldn’t be more happy with how the cake looked in the venue! I’m kind of a dumbass. 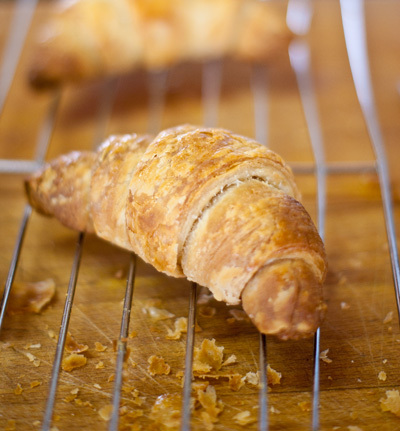 You see, the day that I found out what the Daring Bakers challenge for the month was, I was in fact, making croissants! Weird I know. It was a great and easy recipe that took me the morning to put together. It turned out wonderfully. Golden brown and crisp on the outside and light and fluffy on the inside. Perfect. Since I knew I’d be making them again with the challenge recipe I didn’t stop to take photos. Why would I need to? Hmmm… first mistake. I’m not quite sure what the rest of my mistakes were, but as you can see in the pic above, the second batch did not turn out perfectly crisp, light and fluffy croissants. And I spent the best part of two days working on those. I’m not sure where I went wrong, any ideas? When I bounce back from this disaster (excuse the melodrama) I’ll attempt to find the time to share the other recipe with you. 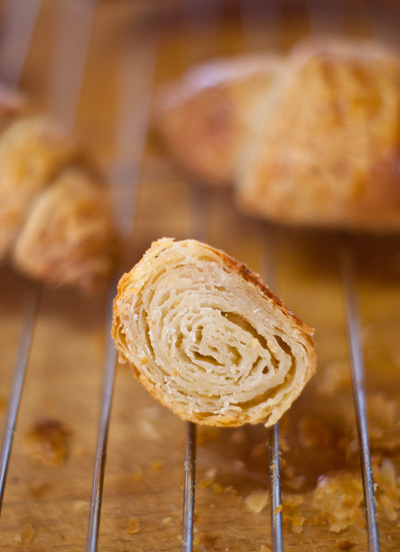 In the meantime, Go check out the Daring Kitchen for the recipe and some successful attempts at Croissants! I can say without a doubt that this is the yummiest post so far. I know, typically chocolate’s always a winner right? But these are just little drops of tart, lemony awesomeness. 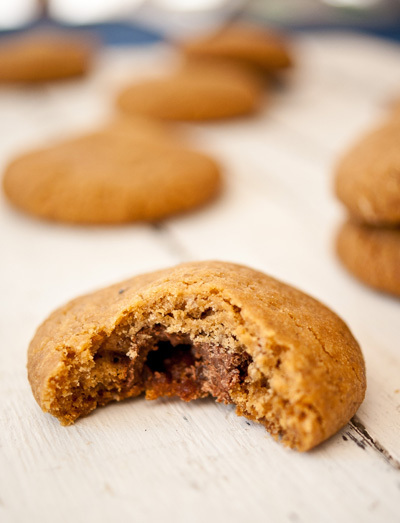 It’s like a flavour explosion in your mouth and (if you’re good at the whole self-control thing) you can eat just one little bite and be completely content. My absolute favourite so far. These are a little nerve wracking to make though, at first. Quite high on the difficulty scale due to the fact that it entails working with a sugar syrup, taking it to the right temperature and then handling the hot sugar mixture with your hands (don’t worry, there are steps in between). My advice is just to prep well. Read over the recipe a few times so you’re sure of the steps, have everything you need (weighed out) in front of you before you start, and just stay calm and enjoy the process. Sugar work doesn’t have to be scary if you have a sugar thermometer and a good head on your shoulders. Oh, and leave the clumsy somewhere else before you come into the kitchen. You don’t want to be stumbling around hot sugar. Coat a pair of kitchen scissors and a marble slab with cooking spray (if you don’t have a marble slab I’m sure you could use a non-stick baking sheet coated with cooking spray but I haven’t tested that out). Combine the sugar, cream of tartar and 1/2 cup water in a small saucepan and bring to the boil, stirring to dissolve the sugar. When the sugar has dissolved, stop stirring and allow the mixture to cook until it reaches hard crack stage/149°C/300°F. Once at the correct temperature, remove from the heat and immediately pour the mixture out onto the marble slab. 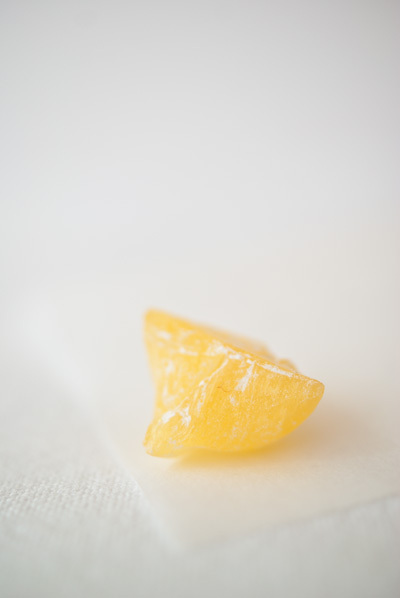 Working fast, sprinkle the citric acid, lemon essence and food colouring over the mixture and use a bench scraper/palate knife to mix them in by turning the mixture over on itself continuously. When evenly distributed and just cool enough to handle (but still hot and soft), pull off pieces and roll them into ropes. Cut the ropes up immediately with the greased kitchen scissors into small pieces. 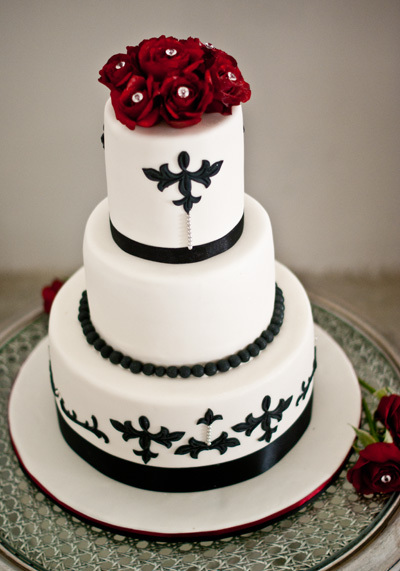 Once all the mixture has been used up, roll the drops in icing/confectioner’s sugar to coat them. This stops them from sticking together. As I said in my previous post, Daring Bakers snuck up on me last month and I didn’t have the time to post the recipes! As you can see I need a little more practice when it comes to the thickness of the chocolate on the top (or is it bottom?) but I’m really excited by the result. Making chocolates was not a challenge I took lightly. It wasn’t mandatory that we temper the chocolate but if you know me then you know I couldn’t pass up the opportunity. I like a challenge. And it definitely was one. As far as most things go, I generally suffer from beginner’s luck *cough-macarons* (lets not talk about that). I know, suffer? But honestly, it’s deceiving! You get it right and it’s perfect and everybody oohs and ahhs over it and then you make it again. This was the first time I’ve ever tempered chocolate. I rocked it. Perfect colour, perfect shine, perfect snap. The first time. We won’t talk about the second time. You don’t have to temper the chocolate but I’d recommend giving it a try. Tempering chocolate gives it that shiny, flawless appearance. It changes the crystalline structure of the cocoa butter in the chocolate to give it a firm texture which snaps when you break or bite into it. You know when chocolate has melted, you let it set again and it sets with those white streaks on the surface? That’s the crystalline structure of the cocoa butter gone out of whack. That doesn’t always happen in untempered chocolate, but it will still have a dull look to it. It’s your choice, but tempered or not, these taste delicious and the filling is the perfect gooey inside to this little chocolate. Place the sugar and water in a small saucepan and heat, stirring continuously while sugar dissolves. Once sugar has dissolved, stop stirring and allow to come to the boil. Boil until the syrup turns an amber colour (the darkness of the colour depends on your taste, the darker it is, the more bitter it is). Remove it from the heat and add the cream carefully, stirring to incorporate. (Be careful as it will bubble up and splutter) If hard bits of caramel form, reheat it over medium heat, stirring until smooth. Add the butter and rum/essence and stir until smooth. Set aside to cool. Add the remaining chocolate, a bit at a time, stirring until completely melted. Let the chocolate cool to about 27°C/82°F. You can do this by stirring it in the bowl or by tipping it out onto a marble slab and turning it over onto itself. (You know it’s at the right temperature when it starts to thicken slightly) Once its at the right temperature, put it back over the hot water. You may have to turn the heat back on but I found the water was still hot enough to heat the chocolate. Heat it back up to 29°C/85°F – 30°C/87°F, stirring constantly. Remove from the heat once you’ve reached the right temperature. It is now in temper and you can use it. If the temperature drops but its still fairly liquid then you can just reheat it to the right temperature. If it starts to solidify then you’ll have to re-temper it. Make sure your mould is clean and dry. Once the chocolate has set, fill the holes with filling to about 3/4 full. Refrigerate again to set the filling slightly. In the meantime, make sure your chocolate is still in temper or re-temper it. 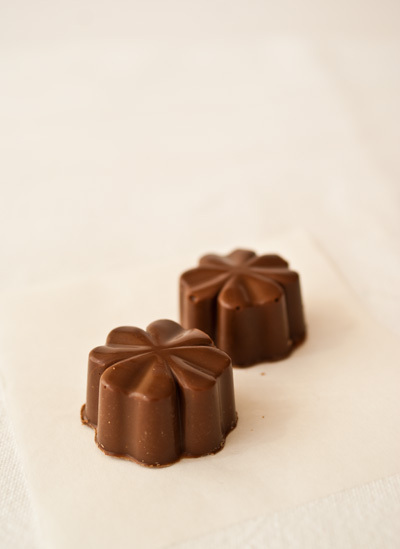 Once the filling has chilled slightly, (10 – 15 minutes) remove from the fridge and pour a layer of tempered chocolate over the mould to seal the chocolates. Scrape off the excess chocolate with a bench scraper, palate knife or the back of a long knife. Place in the refrigerator for a further 15 – 20 minutes. When the chocolates look set and are starting to come away from the sides of the mould a little, remove from the fridge and invert the mould to remove the chocolates. This was such an awesome challenge and a lot of candies are a lot easier to make than you’d think. I had the Candies made a few weeks ago but haven’t got it together with regards to the recipes for the post etc. So this is my apology! I’m on leave now so with more time I’ll do both of these candies justice in the coming week, look out for the recipes! Go check out some more candies by other talented daring bakers and some recipes at the Daring Kitchen.